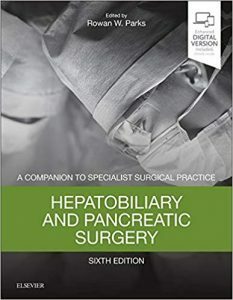 This edition of Hepatobiliary and Pancreatic Surgery includes new chapters on pancreas, islet and liver transplantation. The text includes new treatment options such as radioembolization, antiangiogenics and ALPPS, the latest guidelines on HCC and colorectal liver metastases management with recent evidence on treatment of biliary tract cancer, pancreatic cystic lesions and complicated acute pancreatitis. Over half of the chapters have been re-written by new authors thus ensuring that this edition is fresh, relevant and incorporates the latest developments and most up-to-date evidence base.